A memorial service will be held at 11 a.m., Thursday, January 17, 2019, at Holy Trinity Lutheran Church in Newton. The family will greet friends with a lunch at the church following the service. In lieu of flowers, memorials to Holy Trinity Lutheran Church or Home Instead Senior Care can be left at the church on the day of the service or at the Wallace Family Funeral Home and Crematory in Newton. Billie Jean (Greene) Farland, the daughter of William and Florence (Trotter) Greene, was born January 19, 1926, in Newton. She was a lifelong resident of Newton and graduated from Newton High School in 1943. She was united in marriage with Delbert Farland on October 16, 1943, in Newton. Billie worked for the Vernon Company for several years, working both in the office and from home. She was a member of the Lady Elks and was in several bridge clubs. She and Delbert were also charter members of Holy Trinity Lutheran Church. 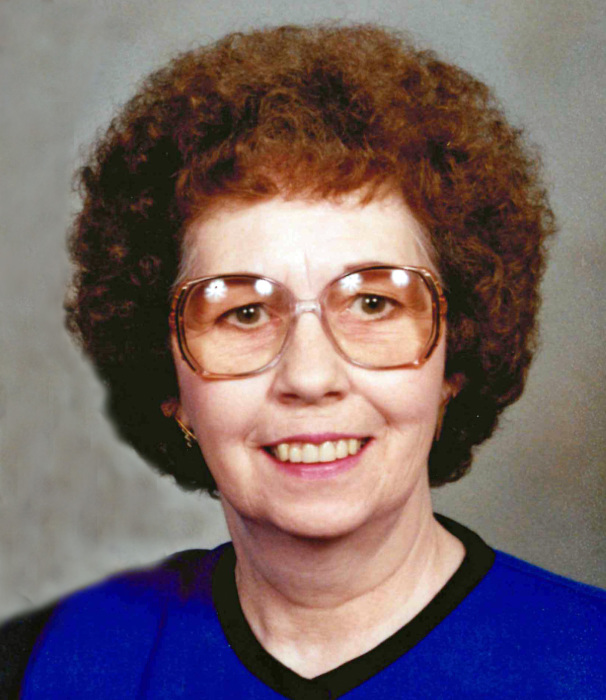 Billie enjoyed doing crossword puzzles, watching Jeopardy and Wheel of Fortune, and taking care of her grandchildren. She and Delbert also enjoyed dancing and listening to Big Band music in their younger years. Billie is survived by her son, Dennis (Pat) Farland of Newton; daughter, Beth (Doug) Smith of Newton; her grandchildren: Dennise (Lee) Fields, Michelle (Mike) Wood, Luke Farland, Tania (Marty) Baskerville, Natalie Smith, and Sarita Smith; great-grandchildren: Adam (Kallie) Fields, Ben (Lyndsey) Fields, Chris Fields, Megan, Livi, Kyle, and James Wood, Hope, Faith, Kamaeya, and Caeleb Farland, and Braden Baskerville; great-great-grandsons, Kurt and Wade Fields; sister-in-law, Donna Farland; brother-in-law, James Farland; and many nieces and nephews. She was preceded in death by her parents; husband, Delbert; son, Reg Farland; and brother, Donald Greene. Billie’s family wishes to give heartfelt thank you to Malissa & Crystal with Home Instead, Melissa Beach in the Newton clinic lab, Dr. Edwards, Jodi Holloway, Skiff Hospital nurses and aides that have helped care for Billie over the last few years.